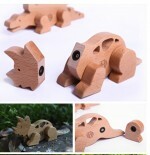 How great are these Magnetic Dino Friends? This prehistoric family encourages creativity and hand-eye coordination in young children. Kids can build the different dinosaurs or mix them up to create their own new species. Each piece is beautifully made from beech-wood and features a unique rotating magnetic connector that allows the pieces to snap together and rotate once connected. 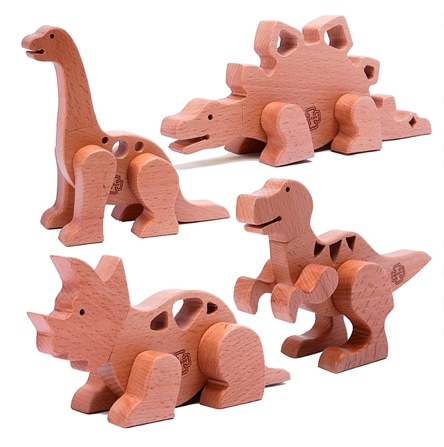 Designed in Korea for kids 3+ this set includes a brachiosaurus, stegosaurus, triceratops and tyrannosaurus rex. Each dinosaur is made up of 6 pieces. Comes gift boxed in an eco friendly recycled cardboard box with peep through window. 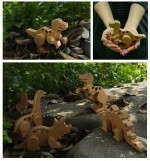 Makes the perfect gift for your budding paleontologist.